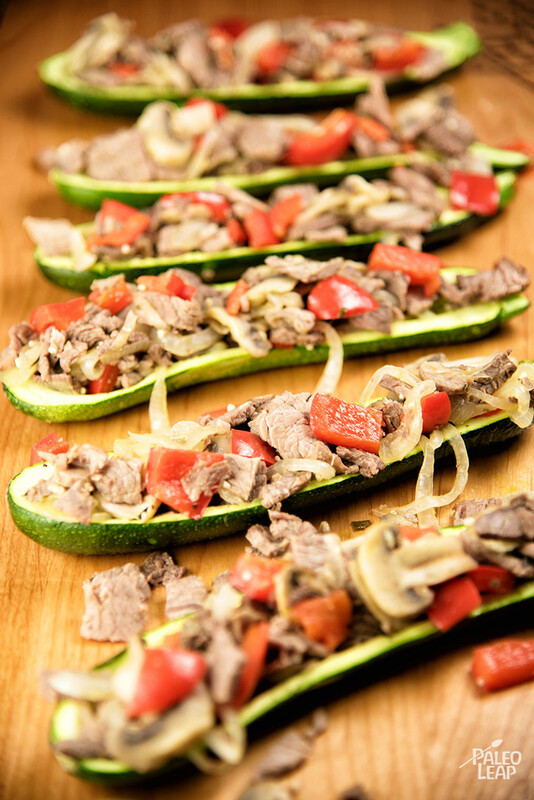 Baked zucchini “boats” make a tasty vehicle for delivering a big pile of roast beef, onions, and peppers straight into your mouth, and they’re not bad-looking, either. If you’re a gardener or know a gardener (or you’re within donation distance of a gardener’s front door…) then you might be overflowing with zucchini at this time of year: this recipe puts a slightly different twist on them so they don’t get boring. This would be a good “transition” recipe for kids who are used to eating junk food: the shape is fun, and zucchini is a pretty inoffensive vegetable taste-wise, but it’s all real food – there’s no imitation anything to keep the expectation of bland carbs alive. If they pick the meat out of the zucchini, well, at least they were exposed to it so there’s a higher chance they’ll eat it next time. Depending on the size of your zucchini, you may not use all of the filling. The amounts here are for medium-small zucchini. If yours run more towards the “definitely-small” side, either buy a few extra or make plans for using the rest of the filling elsewhere (alternately, just pile it on top of the zucchini like an overflowing mountain of deliciousness). If your zucchini could legitimately be confused with a baseball bat, either plan for fewer individual boats or just make more stuffing to go with them. SERVES: 4 PREP: 20 min. COOK: 20 min. Scoop out the center of each zucchini half to create “boats” with a hollow center, but make sure to leave a thick rim. Brush the zucchinis with olive oil and season with salt and pepper to taste. Bake the zucchini in the preheated oven for 15 to 20 minutes. Melt some cooking fat in a skillet placed over a medium heat. Saute the onion and garlic for 2 to 3 minutes. Add the bell pepper and mushrooms, and cook until soft, about 5 minutes. Add in roast beef, season everything to taste, and cook for 2 to 3 minutes, stirring. 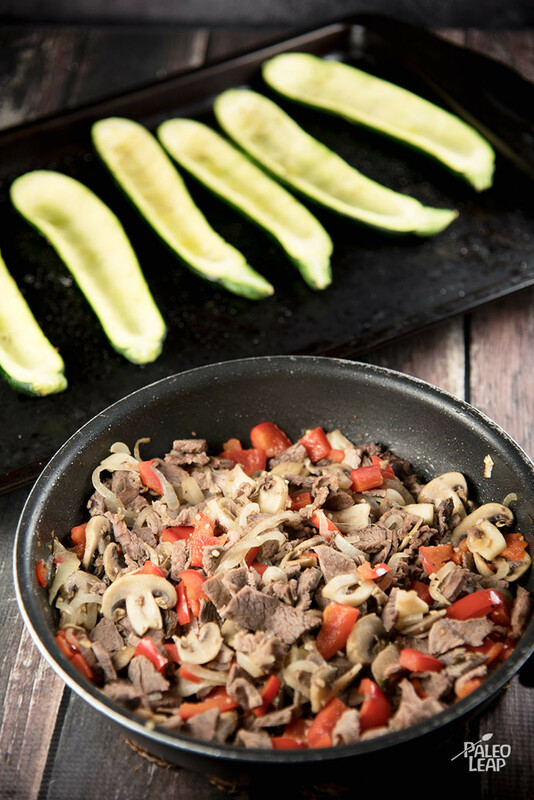 Fill each zucchini with the beef mixture and serve.